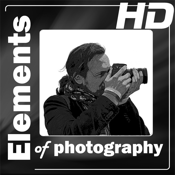 Elements of Photography (EoP) is the most comprehensive app on the marketplace on photography. Instead of boggling down with huge amount of text or long boring videos, EoP uses targeted small chunks of text backed by beautiful full screen HD photos. EoP includes chapters, tools, quiz and tips – designed in a way to help amateur and budding photographers understand the elements of photography and not let the camera become a technological barrier between the cameraman and the subject. The tools and tips are always close at hand for reference. The quiz section is included to check your understanding of the photography concepts. Chapters are organized with a smooth inclination making it easy for the absolute beginner to understand the basics of photography. Starting from the very basic topics like focal length, shutter speed etc. to more advanced topics like metering, exposure triangle and flash photography. EoP is the complete reference available right at your figure tip. Designed using special dynamic content scaling technology – it seamlessly works on different screen resolution and sizes. From phones to tablets: you will get a uniform user experience. Stunning HD graphics on supporting devices. Chapters-> Basics 1 is available in base version. Rest can be unlocked via in-app purchase. Send in your comments and feedback to feedback@elementsofphotography.com and do not forget to rate the app.